A complete copper-alloy Roman radiate of the deified Claudius II, dating to the period AD 270-271. 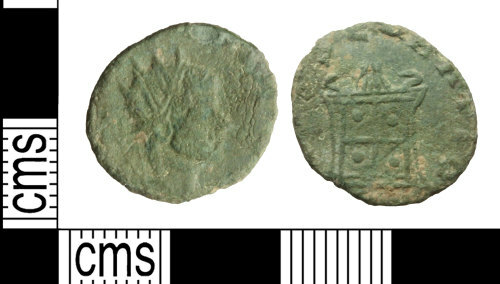 CONSECRATIO reverse type depicting an altar. Uncertain mint.